PHILADELPHIA, September 21, 2018 – The National Lacrosse League (NLL), the largest men’s professional indoor lacrosse league in North America, today announced the brand reveal of its Vancouver franchise. On June 18th, the National Lacrosse League announced that Canucks Sports & Entertainment had purchased the Vancouver Stealth. Today, the team has officially announced its rebranded name, the Vancouver Warriors, during an event at Rogers Arena. The Vancouver Warriors will continue play during the 2018-2019 season and will host the Toronto Rock on December 8th, for the Warriors’ inaugural game at Rogers Arena. 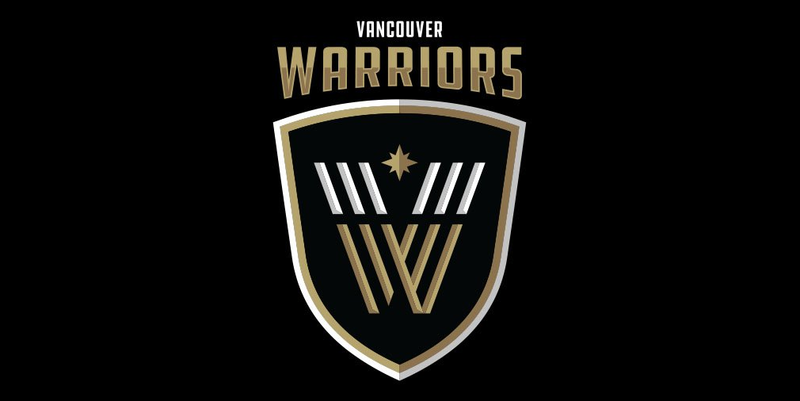 Inspired by a long-standing history of lacrosse in the province, the Vancouver Warriors logo includes local elements in its design. At its core, three forged stripes, colored gold and bone-white, form the defining V and W monogram. These three lines are each inspired by the storied traits embodied by the region’s traditional indigenous Warriors: athleticism, protection and strength. Above the VW crest sits the North Star. This traditional beacon of hope defines a Warriors path, offering guidance and direction, the brightest star in its constellation lighting Vancouver’s night sky. Beyond its borders, rests the shield that symbolizes togetherness and community. For more information, please visit vancouverwarriors.com to follow the team. Owned and operated by the Aquilini Investment Group, the Vancouver Canucks were founded in 1970. Playing its home games at Rogers Arena since 1995, the Canucks have appeared in three Stanley Cup Finals (1982, 1994 and 2011) and produced consecutive President’s Trophies in 2010.11 and 2011.12. Through the support and passion of Canucks fans, Rogers Arena hosted a consecutive sellout streak of 474 games from 2002 to 2014, one of the longest in the history of professional sports. President Trevor Linden, General Manager Jim Benning and Head Coach Travis Green currently guide the direction of the club. Through the Canucks for Kids Fund, the Vancouver Canucks are dedicated to assisting charities that support children’s health and wellness, foster the development of grassroots hockey, and facilitate and encourage education in BC. Thanks to the generosity of fans, donors, players, employees and sponsor partners, the Canucks for Kids Fund (CFKF) has granted more than $55 million to charities in British Columbia over the last 32 years. For more information, visit nhl.com/canucks or RogersArena.com.